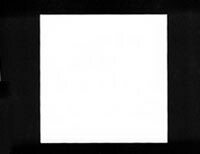 White cardboard sleeve for CD. 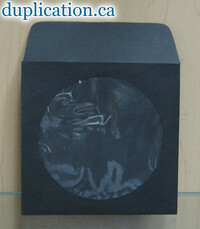 Deluxe Black CD sleeves with cellophane window and flap. 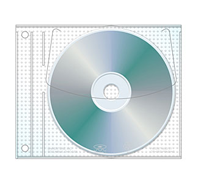 Black CD sleeves with no window or flap. 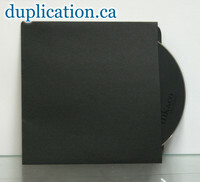 Black CD sleeves with flap and no window. 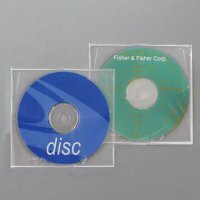 CD paper sleeve with a cellophane window and a flap, and an adhesive backing and adhesive seal. 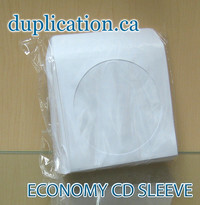 Clear Poly sleeve with flap, 4 mil. 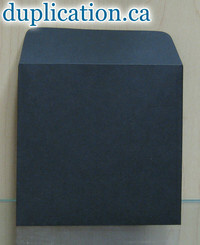 Polypropylene Jewelpak CD/DVD Wallet Page with lift-up flap. Made with Safety-sleeve® protection to cushion and protect disc. 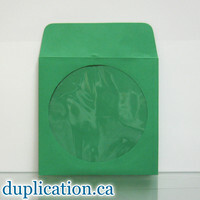 Green CD sleeves with cellophane window and flap. Made in North America. 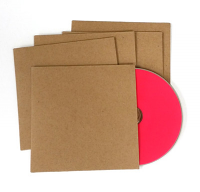 USA-Made professional-quality paper sleeve with a cellophane window and a flap. 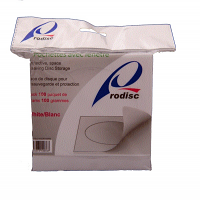 USA-Made high quality white paper sleeve with a cellophane window and a flap. 1000-count carton. 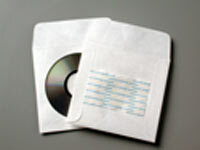 Paper sleeve without a window or flap, less than 5 inches wide to fit where most other sleeves do not. 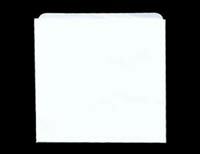 USA-Made high quality white paper sleeve without a window, with a flap. 1000-count carton. 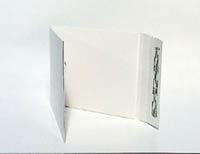 USA-Made high quality white paper sleeve without a window, with a flap. 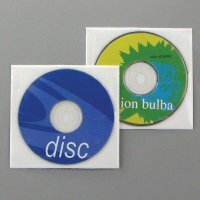 A handy sleeve to hold your disc, with a resealable flap.